Suicide is not a fun topic, but I feel compelled to write about it nonetheless. Please consider this your warning that there are Deep Thoughts below. When someone such as Robin Williams, who has been a part of our lives, making us laugh in our living rooms, abruptly departs from this world it can churn up all kinds of memories like a flood. In fancy psychological terms, this is called an “anniversary reaction.” My dear friend Kate wrote about this eloquently on her blog. That post spurred us to have a great conversation about being touched by suicide and loss. I have my own legacy of suicide. My paternal grandfather took his own life before I was born. You would think that since it was before I was even on this Earth, it wouldn’t really affect me. But really, I saw how that taboo subject took a toll on my Dad. It is still a subject that comes up at family gatherings generations later, even recently. Beyond that, I had a brush with suicide in high school and again in college when each time, a friend opted out of this life. More recently, I had someone reach out to me for marketing help via LinkedIn. A few weeks later, I heard his name on the news. Robin Williams’ death brought a lot of that back to me, as it did for Kate, as it did maybe for you too. 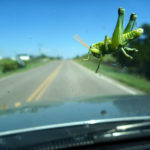 Sometimes you are the windshield and can resist, bounce back or deflect what comes at you, but sometime you feel like the bug, and you didn’t see it coming. Experiencing the anniversary effect – which can happen either by the actual anniversary of an unfortunate event, or by hearing about a similar circumstance — is kind of like walking into an old spider web: you know the spider isn’t there anymore, but the reaction brings up every spider that you have ever seen and you have an out-of-proportion reaction that probably involves flailing around like a comic ninja. Here are my best tips for dealing with the anniversary effect. 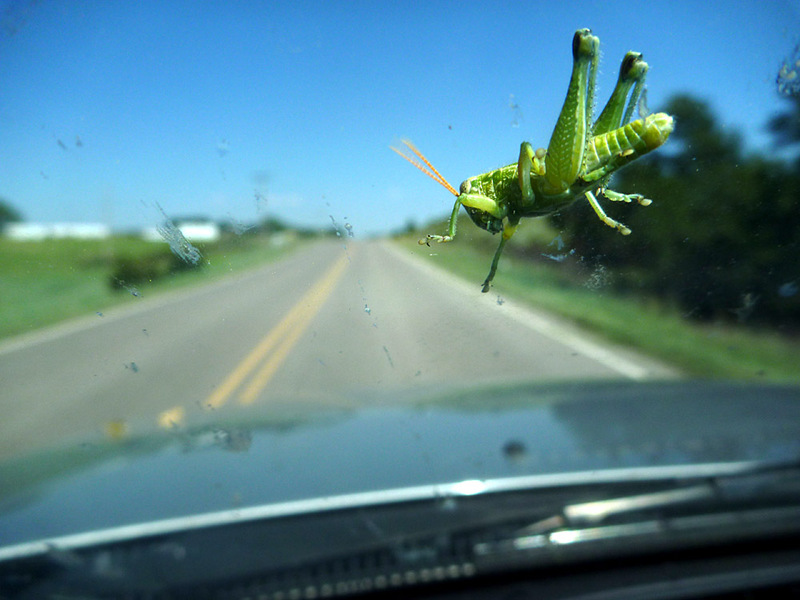 The best way to be the windshield and not the bug is to stop trying to push feelings down and hold them under the surface. Notice I say “try”—you can’t submerge an emotion any more than you can hold a beach ball underwater. A beach ball is such a silly little thing, it’s light and bouncy, but have you ever tried to push one under water? The ball takes on a life of its own, pushing back, working around your hands, trying to surface with a vengeance, and the harder and more you push it down, the higher it pops up. Don’t treat your feelings like a beach ball. If you don’t have a family member or friend to chat with, journaling, creating something–even a great pot of soup–connecting with clergy, medical professionals or support groups can help you feel the feelings and help them move along. Asking for help isn’t a sign of weakness, but a sign that you are human, and aren’t we all? Take a break from television, news articles and other media, especially if the anniversary is around a public disaster or crisis. Often, media outlets revisit distressing imagery again and again. Be mindful of the images and messages you let into your internal environment. Take care of yourself in every way possible–healthy foods, exercise habits and sleep need to be in the mix. Thank goodness during my Mom’s recent health crisis, I had a hotline to a friend that is a health coach and she reminded me to keep to the salad bar and whole foods during my weeks of sitting in the neuro ward. Thanks Beth Wilde! If you find that you’re struggling with your trauma or that it is affecting your quality of life in great or lasting ways, remember that you’re not alone. Loss affects each of us differently, so don’t put a time limit on your grief. If you feel overwhelmed or like you cannot navigate successfully through your anniversary reaction, consider seeking the counsel of a mental healthcare professional. As a coach, it may appear that I am always positive, that I always walk around with a smile on my face thinking only positive thoughts or that I have all the answers. I don’t. No one person has all the answers, for all of the world, all the time. That is why we need each other. I’m hoping these ideas will help you navigate your next anniversary reaction and that instead of it setting you back, you are able to turn it into an opportunity to reset or reach out and receive a little more compassion, peace and healing and not feel so squashed by the events in your life. Is something bugging you? Schedule a time to work out what is bugging you about your life, career or biz.